Frank Rarely, Canberra’s most celebrated Fake News correspondent wonders if there’s any merit to the budget whatsoever. On the face of it, last week’s budget seemed relatively harmless. 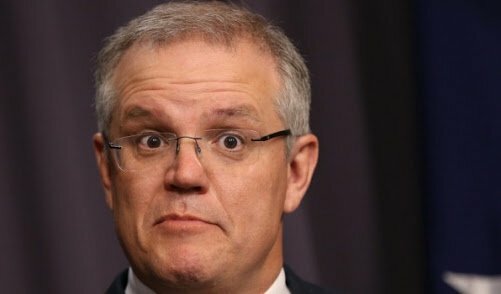 The tax relief promised to save you about as much money as a David Jones clearance, although Bill raised the stakes by promising to match a May Madness Weekend at Harvey Norman. How refreshing it would be however if just for once we were left to make up our own minds about a budget instead of copping a confusing torrent of gratuitous advice about its merits from political parties, the ABC, the Telegraph, the SMH, Alan Jones, the ACTU and, would you believe, the banks. Bill is adamant this is an unfair budget because it doesn’t acknowledge that the surge in revenue is the direct result of brilliant long-term economic policies instigated by Hawke and Keating and furthermore that the budget surplus promised by ScoMo in a couple of years will be one of Wayne Swan’s creations that initially suffered from deficit disorder but will deservedly make a comeback. The budget was a final confirmation that the Coalition government has failed abjectly in its solemn duty to the nation to clean up Labor’s economic disasters and return us to surplus. The cumulative mess deriving from Kevin’s GFC policies, his NBN brain-snap and Julia’s dalliances into deficit with Gonski, the mining industry and Bob Brown, demanded nothing less than a budget wrought of a surplus of pain and penny-pinching from the Coalition. There are now fears in scholarly circles that the very stability of our democratic system is under threat from the Coalition’s failure to square the ledger. Unless Malcolm and Co re-embrace the deficit decimation doctrine promulgated by Costello and start producing surpluses soon the public won’t be able to tell the difference between them and the Labor Party. Bill is obviously keen to avoid the ignominy of becoming the first Labor PM in 30 years to preside over a budget deficit. The ACTU would never forgive such bastardry. So he’s announced huge tax relief and spending policies to guarantee that Labor’s great heritage of budget deficits over so many generations will proudly endure. The Greens have difficulty coming to terms with the very concept of budgets. A political party that believes in free health, free education, free ports of entry for people smugglers and work-free pay would understandably be reluctant to reveal the dire impact on national accounts by publishing a budget. Furthermore Sarah Hanson Young has difficulty coping with travel expenses let alone budgets. By the way Bill has given a rolled gold guarantee that none of the Labor Party’s dual citizens have been double-dipping their family allowances internationally. After many years of trying to determine the true meaning of budgets I’ve finally seen the light. Budgets are created for the benefit of politicians rather than the public so whether we’re better or worse off isn’t really the point. Their true purpose is to win elections. A Royal Commission into budgets could be even more apocalyptic than the one into banks.